"Sheer Comic Genius! Being suddenly single again has never been so hilarious! What do you do when the woman you’ve loved and been with for 14 years (and married to for 10) suddenly decides to ditch you for another guy? 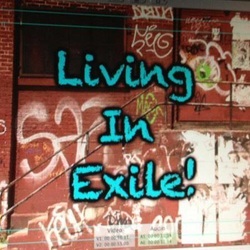 If you’re Dimitri Katsapolous, the lead character in Jim Mendrinos’ hilarious web series “Living in Exile,” you freak out. You avoid dating. Then you date. You buy the wrong thread count of sheets. You wear an ugly “European” shirt. And you keep the audience laughing out loud as they watch your painful foray back into the dating scene. Thank you to everyone who took the time out to watch and write. Comedian Jim Mendrinos is the common man with uncommon comedy observations. From world politics to the politics of personal relationships, Jim’s everyman insights creates a symphony of comedy covering a wide spectrum of humanity.